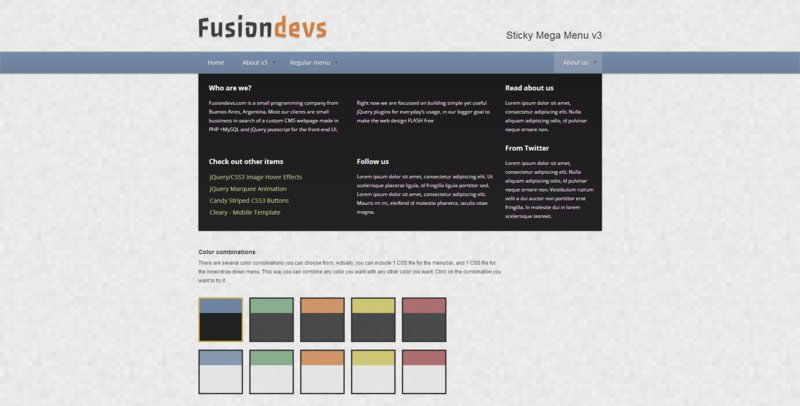 Tired of ‘sticky header’ plugins that make that annoying 150 height header stay always on top? 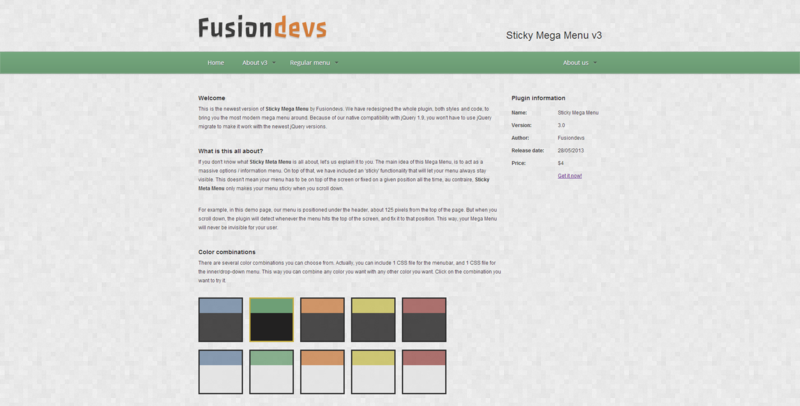 Here it’s the solution: Sticky Mega Menu. Just select what DOM object is your UL based menubar in, and the script will make it sticky on top of your screen whenever your visitors scroll your page. Once you scroll back up, it will stop at the right position. The plugin also works as a Multi Level dropdown Mega Menu, and comes in 5 different menubar templates, 2 menu templates and infinite menu levels. Dear customer, if you like this item, please rate it.